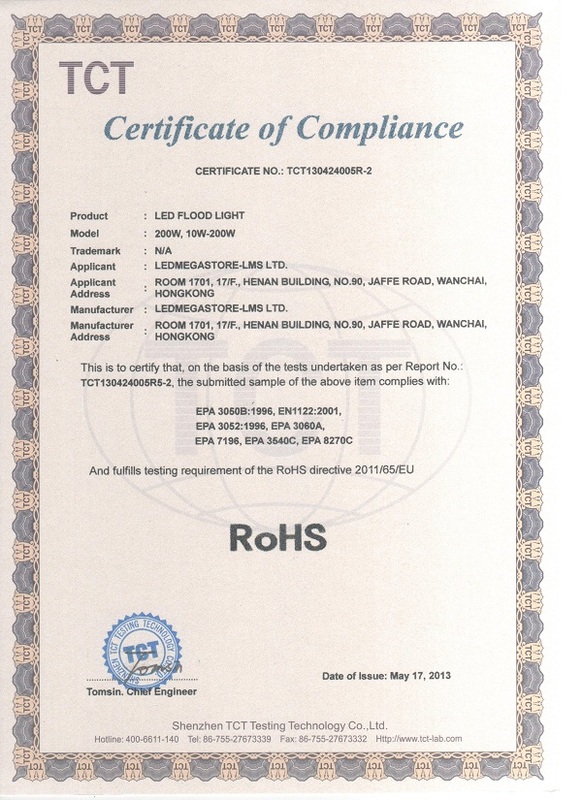 Led Floodlights LMS Slim are assembled entirely from our company and have 3 years written warranty. Compared with regular LED floodlights , the series Slim 10 Watt of LEDMEGASTORE weight 20-25% more, and accordingly they have larger cooling system for better work of the LED chip. We achieved the best possible performance of our drivers, which have less than 1% wastage. 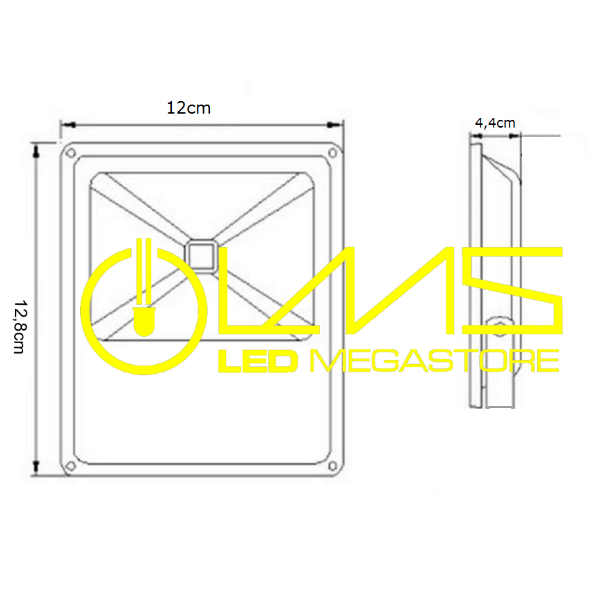 Led Floodlights LMS Slim have low power consumption, low operating temperature, resistance to climate influences(IP65) and they are environmentally friendly. 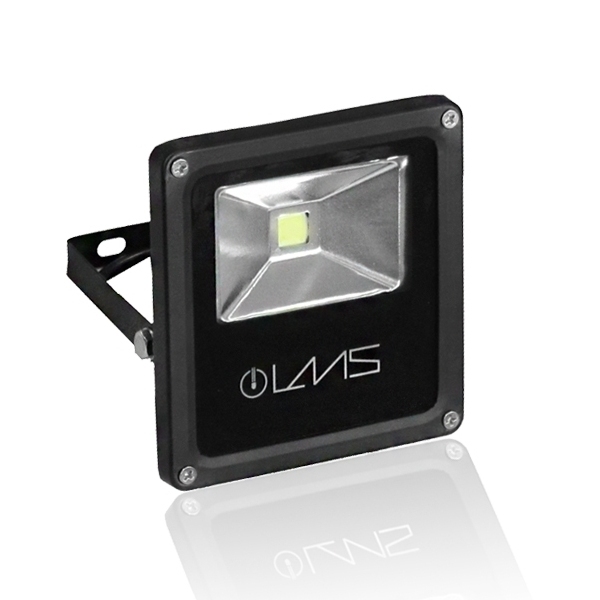 Led Floodlights LMS Slim can be used for outside and inside lighting in shopping centers, industrial buildings, sport centers, parks, advertising constructions, parking lots. They have one Led Chip EPISTAR total power 10 Watt 960 lumens and corresponds to a regular floodlight 75-80 Watts. 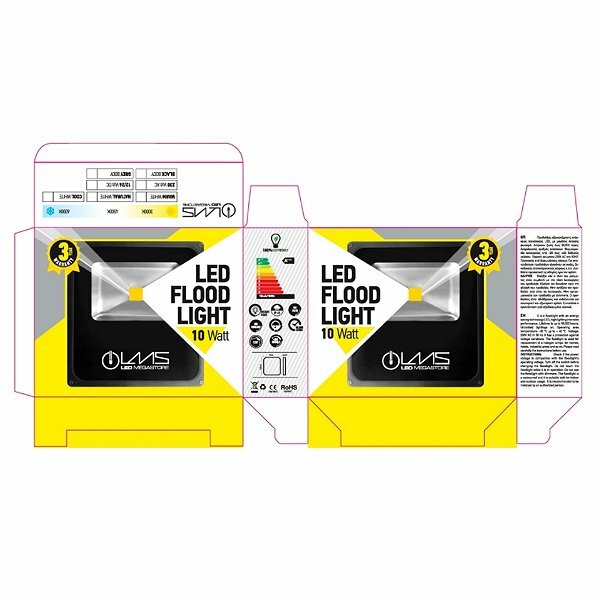 The driver ofLed Floodlight LMS Slim BB 10 Watt Cool White has power factor 0.98 (COS f - Power Factor). 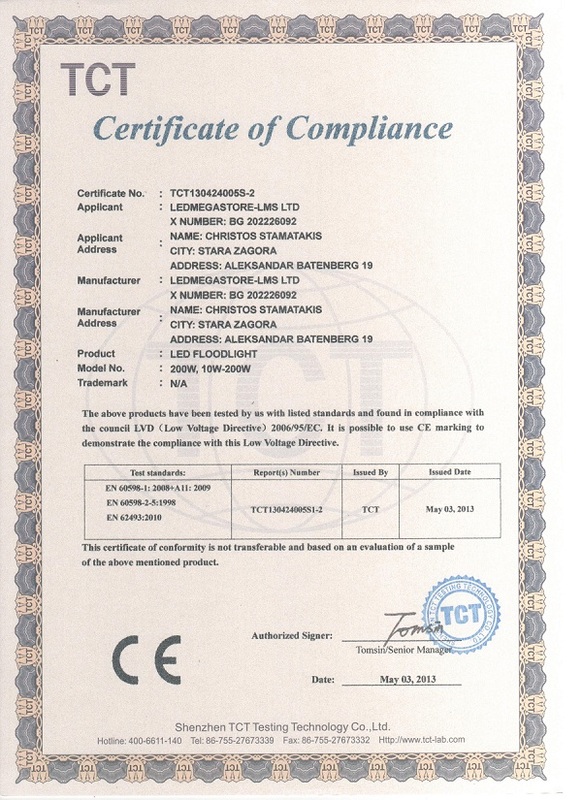 When LED Floodlight 50 Watt has Power factor 0.50 (i.е., it has driver with bad quality) the floodlight’s consumption will be 75 Watt instead of 50 Watt т. 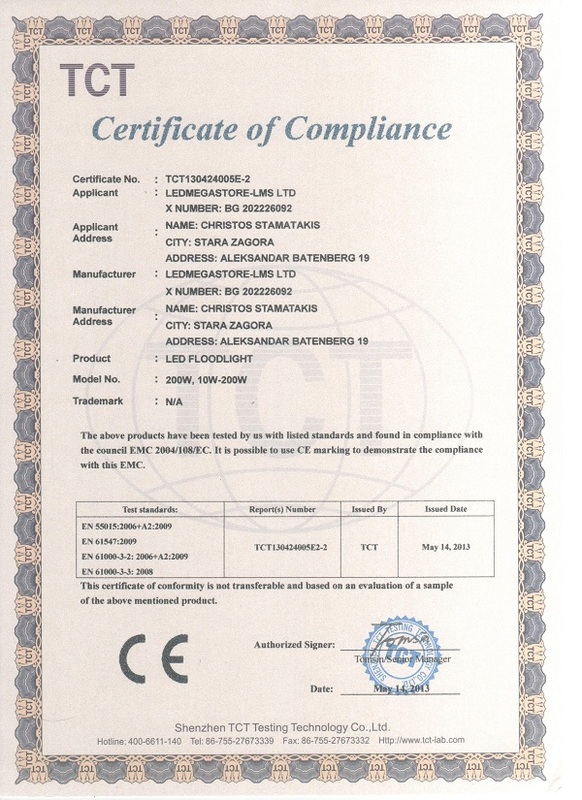 If LED Floodlight 50 Watt is < COS f - Power Factor > 0.98 (just like Led Floodlights LMS Slim of our company) then the Floodlight’s consumption will be 50 Watt because Power factor is closed to (COS f 1).